	High Precision, High Speed, Low Noise and Excellent Performance. 	Handy: Punch various of shape of sequins, such as Heart-shape, Quincunx, Rhombus, Square, Round etc just need to change the mold. 	Adjustable punching speed, Highest Speed 600pcs / min. Fastest speed will produce one sequin plate within 25 min. 	Dual Functionality: Both pulling and cutting type sequins made through one machine (Specify when place an order). 	Accurate Sequin Length Control: The machine has a sequin punching counter which can be set in advance in order to control the length of finishing chain sequin reel. To make sequin reel at any length as customer want. 	Easy to Operate: Press two buttons to start or stop the machine, easy to operate. 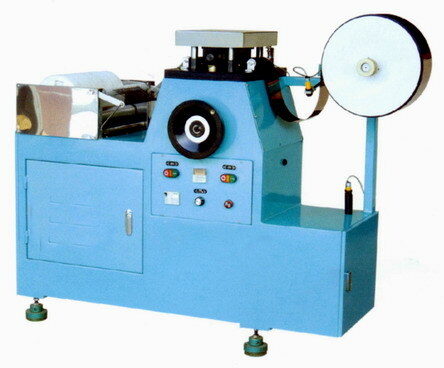 RP high accuracy sequin-punching machine possess the highest performance in producing various sequine shapes and sizes. High speed, precision, stabilization are the main characteristics of this machine, the die is made by high quality steel that guarantee precision. Size available: 3mm, 5mm, 6.8mm, 7mm, 9mm, special size and shapes available upon request.